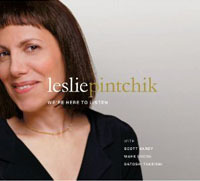 Leslie Pintchik begins her explorations on her fourth CD with a musical sunrise of soft, shimmering colors that grows into a bright and energetic day. 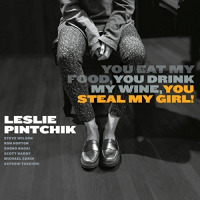 From this appealing opener, "With You in Mind," she instantly distinguishes herself from the legions of jazz composers who confuse "personal expression" with self-indulgent noodling that shows little concern for story or melody. 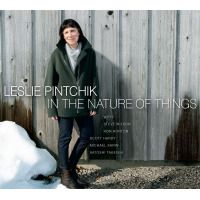 In contrast, Pintchik composes memorable tunes that tell a coherent tale: here, the story is usually light-spirited and swinging, with flashes of playfulness, and all of it gets superb support from her well-seasoned band. 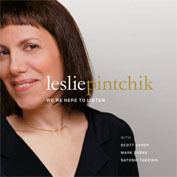 Highlights are hard to pick at this level of excellence, but standout tracks include the playful punch of "I'd Turn Back if I Were You" (from a warning sign in the classic movie, "The Wizard of Oz"), the infectious joy of "Sparkle," the intriguing quirks in "Terse Tune," the danceable propulsion of "Ready," the flat-out swing of "There You Go," and Pintchik's gorgeous re-harmonizing of the one standard, "I've Grown Accustomed to Her Face," which brings out its meditative beauty. This is one of those rare sessions you can roll out from beginning to end without getting either bored or jarred. 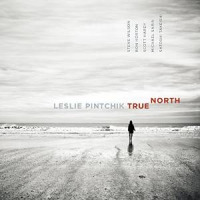 Moreover, as varied as the music is, the CD almost feels like a symphony in nine movements. This is largely because, whether the tune is a ballad or samba or second-line groove, there's always the sense of a clearly-defined and consistent musical intelligence at work. This is the mark of a true artist. Track Listing: With You In Mind; I'd Turn Back If I Were You; I've Grown Accustomed to Her Face; Luscious; Sparkle; Terse Tune; Ripe; Ready! ; There You Go.